Head #4 is part of Derrick Adams’s “Deconstruction Worker” series, which includes portraits based on elevation sections and visual renderings. 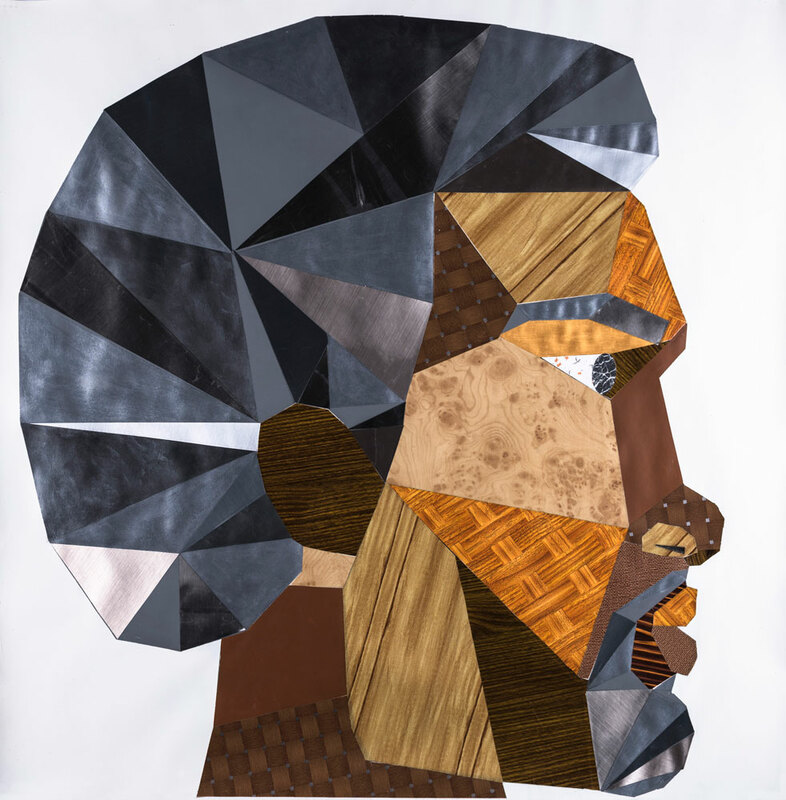 This work features wallpaper and wood-grain paneling, cut and collaged to imitate the gradations in skin and hair. Adams’s precisely applied geometric forms speak to the outside influences and environmental factors that contribute to the construction of self-image, while his use of commercial materials and a Pop art aesthetic point to the relationship between consumerism and race.